The NEW X-MET7000 eXpress delivers the high performance needed when measuring trace elements without compromising on time. The X-MET7000 eXpress includes Oxford Instruments’ 40 kV X-ray tube and high resolution, high count rate Silicon-drift detector (SDD). The X-MET7000 eXpress analyses, verifies and screens materials up to 4 times faster than the X-MET7000 QuickSort. This handheld XRF analyser is the ideal tool for quick analysis; as required in the scrap, PMI and the environmental testing industries. 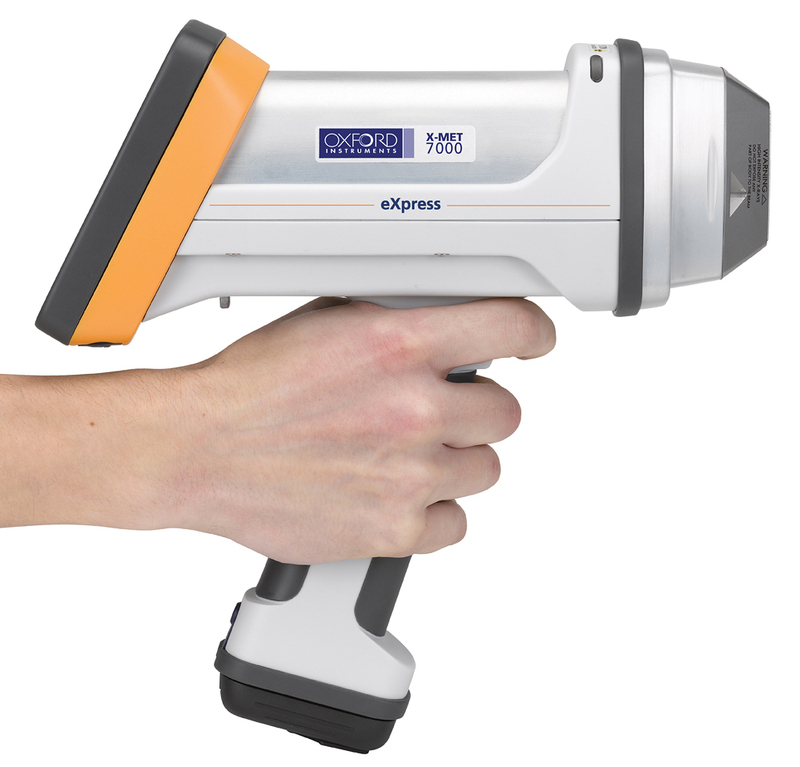 Increase productivity and profitability with the X-MET7000 eXpress XRF analyser from Oxford Instruments.